I was just searching websites for free international texting yesterday that are free sms send without registration. There are many free net to sms websites available online which send free sms but many of them are not allowed send sms without registration. This is so much difficult to send sms that need registration because many people do not like to register in these sites. Today I share websites of free sms without any registration. These sites are now alive and sending unlimited sms to worldwide free. I found some websites which sends free international texting message. You can send free sms in many countries through these websites. WapScriptPhp is also a free International Texting service provider. This website has clean and easy to use interface that everyone use it without any worry. You can send unlimited free sms from this website in a day. It supports all countries and all networks in the world. Newsmsonline is also same like WapScriptPHP site and it has same features as this site has. You can send free sms without registration from here too. It Supports 160 Characters to send sms. Websmsonline is one of free sms sending site all over the world. You can use these free sites to send all countries of the world. Its interface also simple and clean. Its supports 160 characters to send. 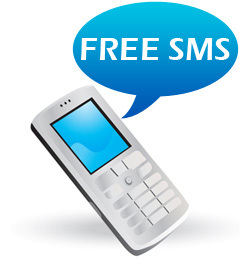 Freesmscraze is a Pakistani website which allows you to send free sms in many countries. You can also send messages to Pakistan from this Free SMS Service. It supports 130 characters to send sms. Smstexter is a website for Free SMS. This site claims that you can send free SMS without registration all over the world. Its look and feel is so simple, just select country, type number and then type the text that’s it. Now enter the captcha and send sms. Its delivery time is efficient. I also use this service many times. Many SMS sites close their free sms sending service due to lack of funding but these sites are now alive and working so much good. I don’t know it will work in future or not. I will update the list if there any site closes their service. 0 Respones to "Free International SMS Send without Registration"